1. 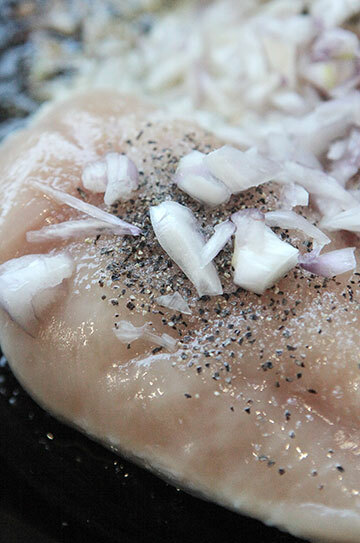 Sprinkle chicken with about half of the salt and pepper. 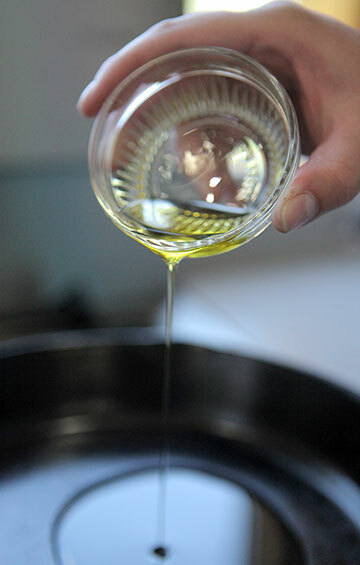 In a medium skillet, heat olive oil over medium-high heat. 2. 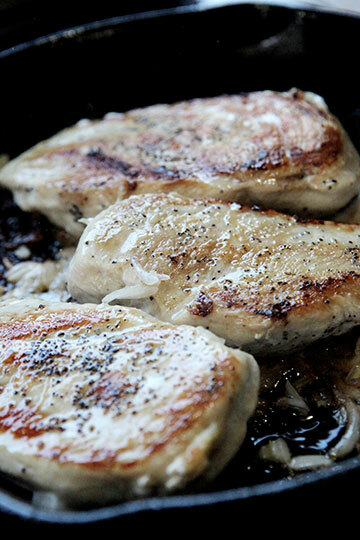 Once oil is hot, place chicken breasts in the pan, seasoned side down, sprinkle with the remaining salt and pepper, and add shallot. 3. Cook for about 8 minutes, flip over and cook for an additional 8 minutes, or until the juices run clear. 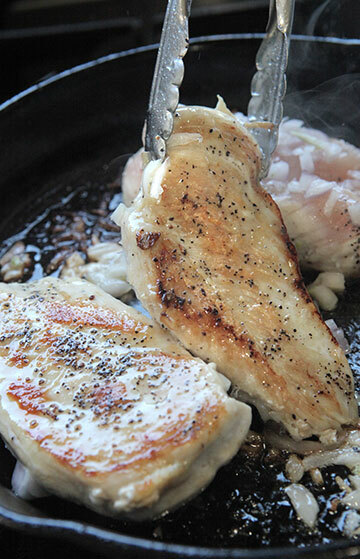 Remove chicken from pan and set aside to cool. Reserve the cooking juices for making the gravy. 4. Preheat oven to 425°F. 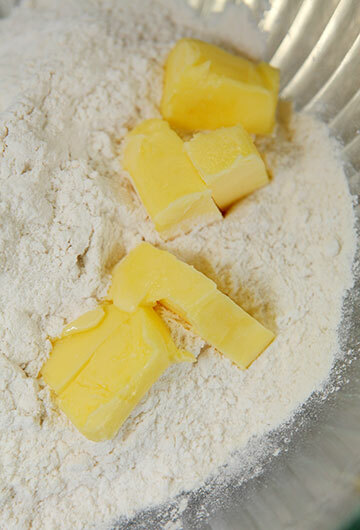 In a medium bowl, blend Budget Mix and 3 T butter together using a pastry blender. 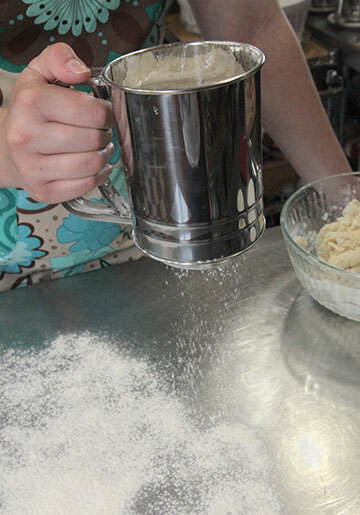 Once mixture resembles coarse crumbs, pour in buttermilk and mix just until dough forms. 5. 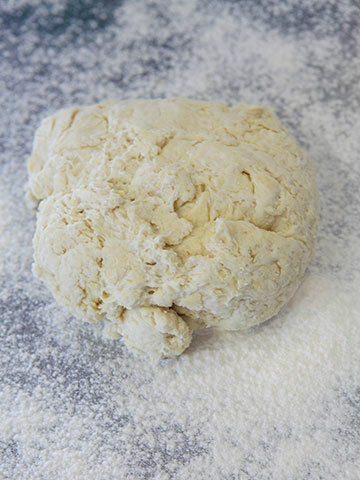 Heavily dust a clean surface with flour and roll the dough out to about 1/16” thick. 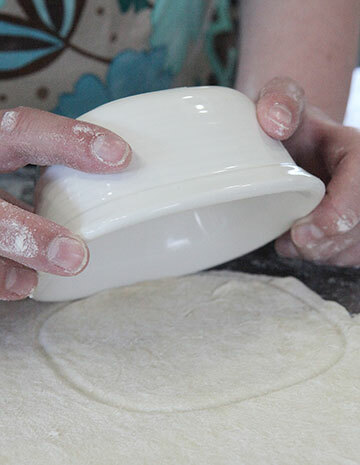 Cut out four squares (about 5”x5” for ours) large enough to line the inside of four ramekins. 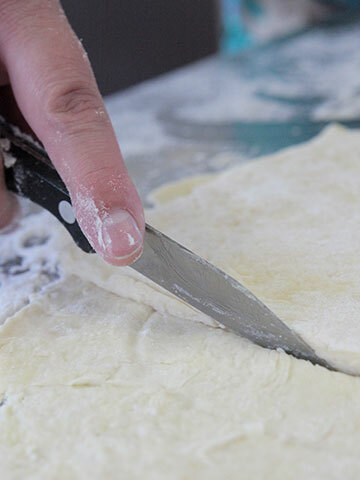 Re-roll the remaining dough and cut 4 pieces large enough to cover the tops of the pies. Set aside. 6. 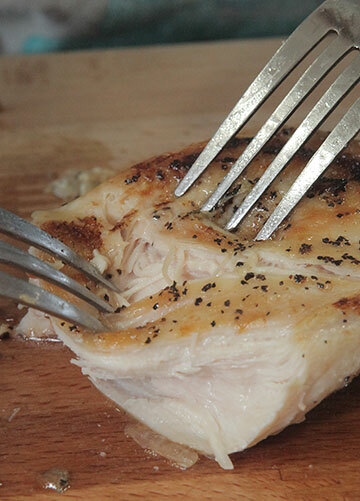 Shred the chicken breasts using two forks and divide evenly between ramekins. 7. 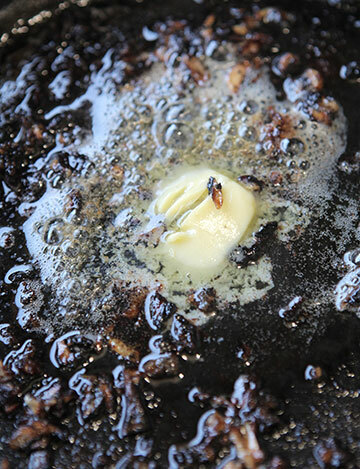 Re-heat the skillet with the reserved cooking juices over medium heat and melt 2 t of butter. 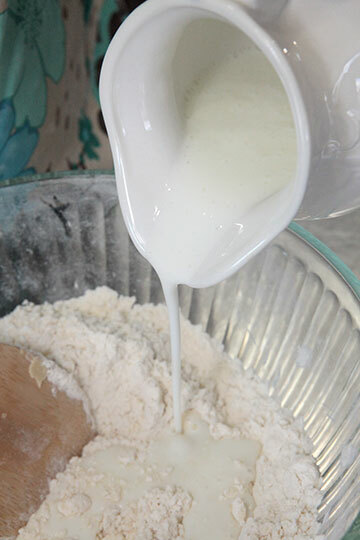 Add flour and mix well. 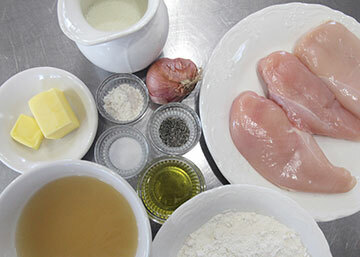 Pour in chicken broth and simmer until the mixture has thickened. 8. 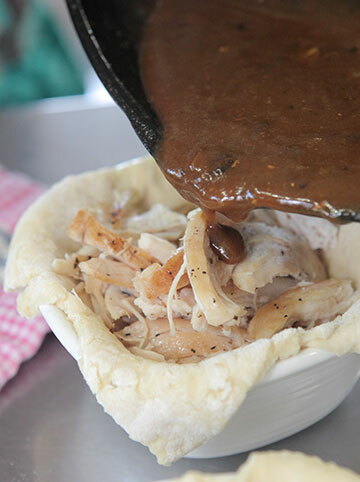 Divide the gravy evenly between the four ramekins and cover the tops of the pies with dough. 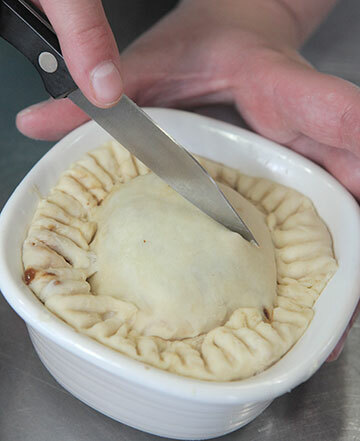 Roll in the edges of each pie and press into the sides using the tines of a fork, and cut a slit in the top of each pie. 9. 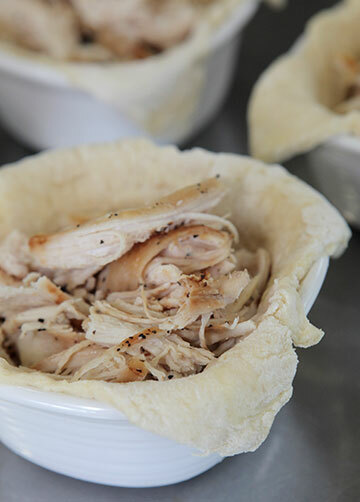 Place pies on a cookie sheet and bake at 425°F for 30 minutes. 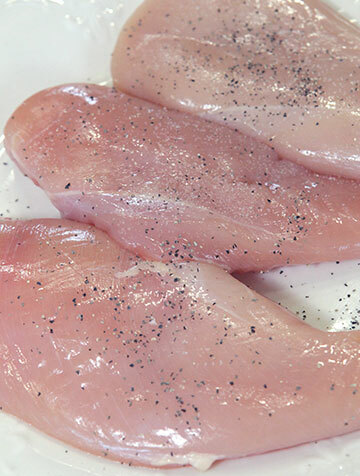 Sprinkle 3 boneless, skinless chicken breasts with ¼ t salt and 1/8 t pepper. In a medium skillet, heat 2 T olive oil over medium-high heat. 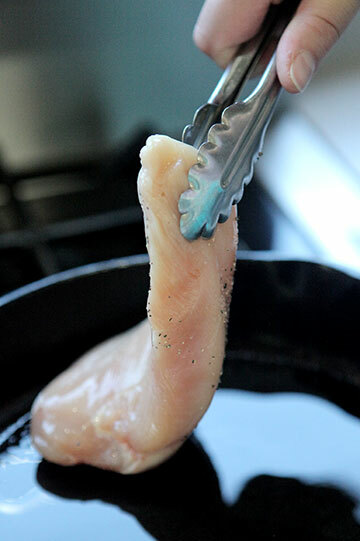 Once oil is hot, place chicken breasts in the pan, seasoned side down. 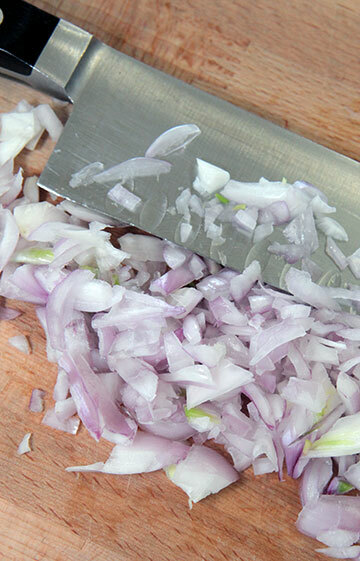 Sprinkle with the remaining ¼ t salt and remaining 1/8 t pepper. 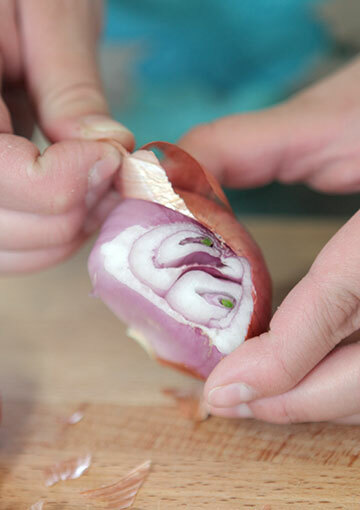 Then add the shallot. Cook for about 8 minutes. Flip over and cook for an additional 8 minutes, or until the juices run clear. Remove chicken from pan and set aside to cool. 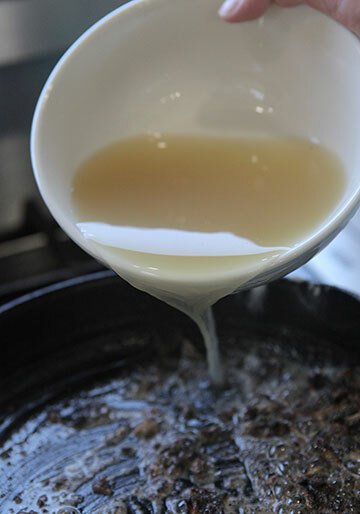 Reserve the cooking juices for making the gravy. 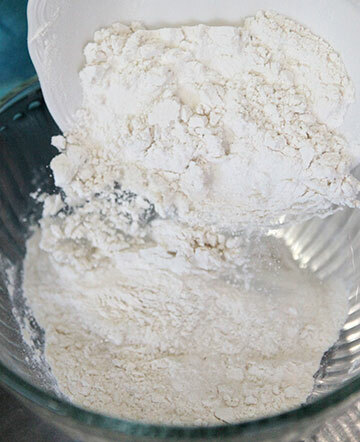 Preheat oven to 425°F and add 1 1/3 cups Organic Budget Mix® All-Purpose Original Baking Mix to a medium bowl. 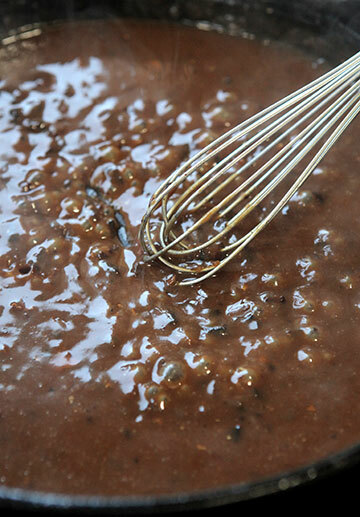 Blend together using a pastry blender. 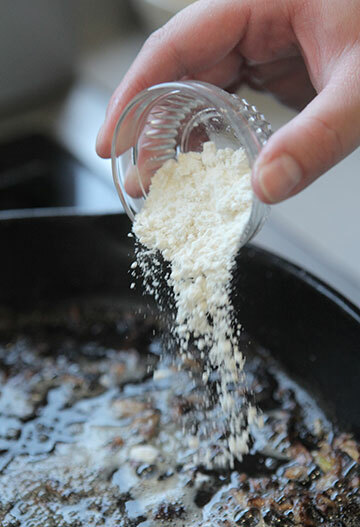 Once mixture resembles coarse crumbs, pour in 2/3 cup buttermilk. 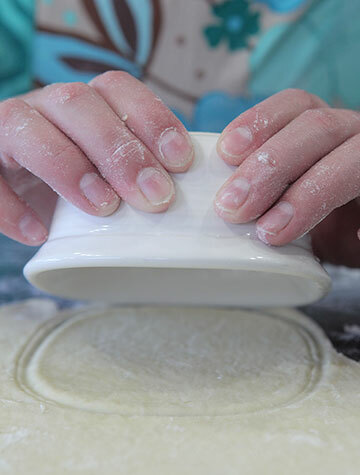 Mix just until dough forms. Heavily dust a clean surface with flour. 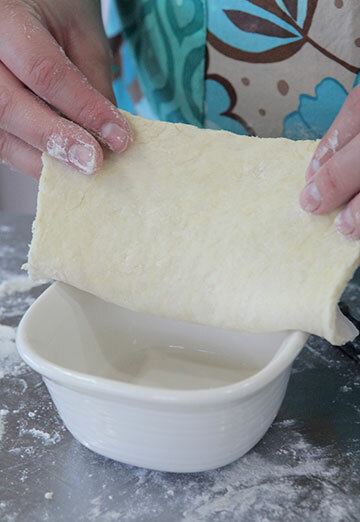 Roll the dough out to about 1/16” thick. Cut out four squares (about 5”x5” for ours) large enough to line the inside of the ramekins. 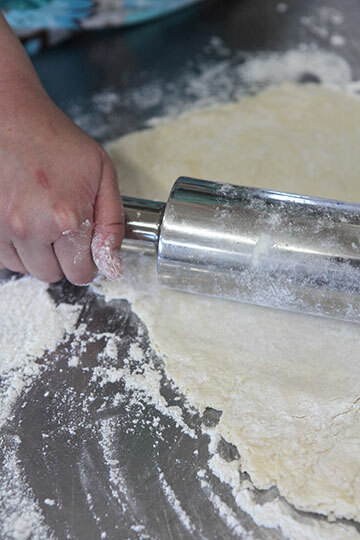 Re-roll the remaining dough and cut 4 pieces large enough to cover the tops of the pies. Set aside. 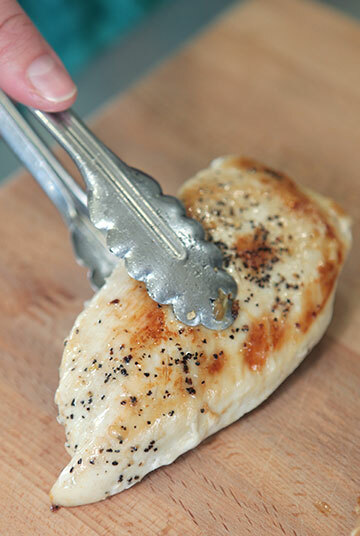 Shred chicken breast using two forks. Re-heat the skillet with the reserved cooking juices over medium heat. Melt 2 t of butter in the skillet. 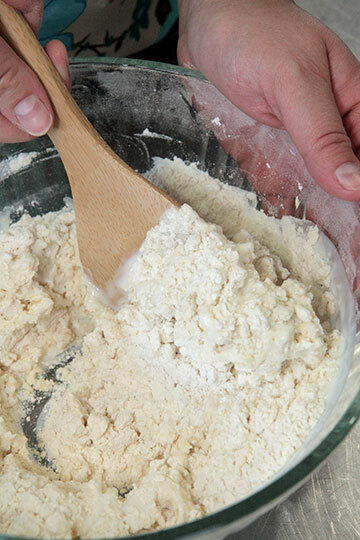 Add 1 T flour and mix well. Pour in ¾ cup chicken broth. Simmer until the mixture has thickened. 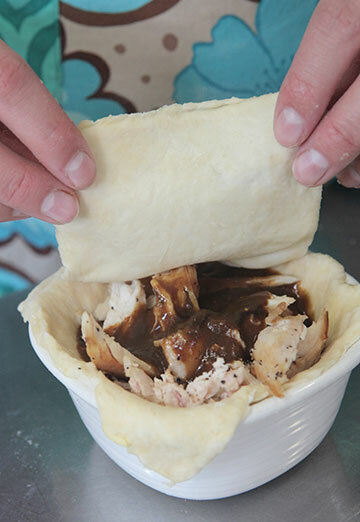 Divide the gravy evenly between the four ramekins. 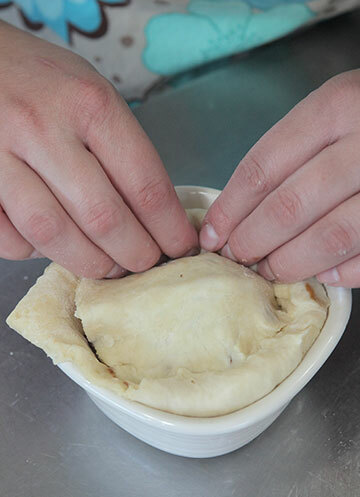 Cover the tops of the pies with dough. 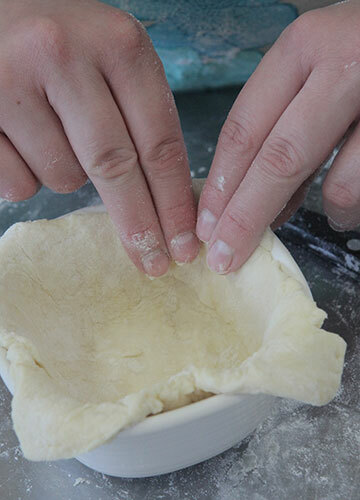 Roll in the edges of each pie. 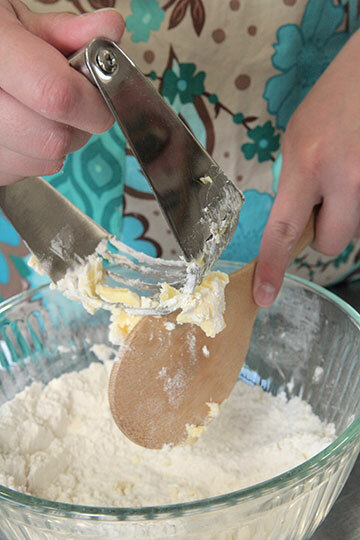 Press into the sides using the tines of a fork. Cut a slit in the tope of each pie. 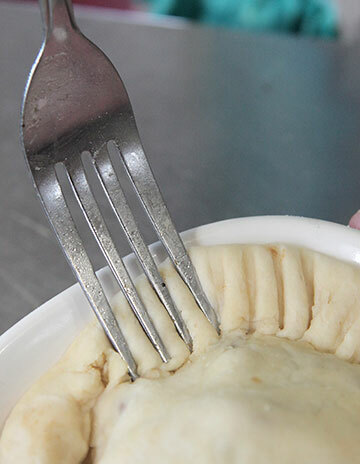 Place pies on a cookie sheet and bake at 425°F for 30 minutes. 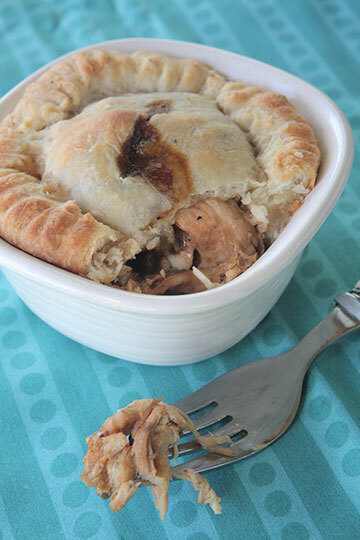 I love this simple recipe for a all time favorite! No more soggy veggies in the mix! 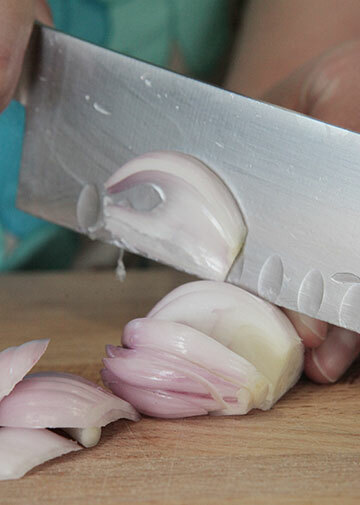 Personally, I love shallots better than onions because they are easier to digest and less over powering. And your Budget Mix works so perfectly for these kinds of meals. Me thinks I will try this one And the Rice Cakes one very soon! Yum! 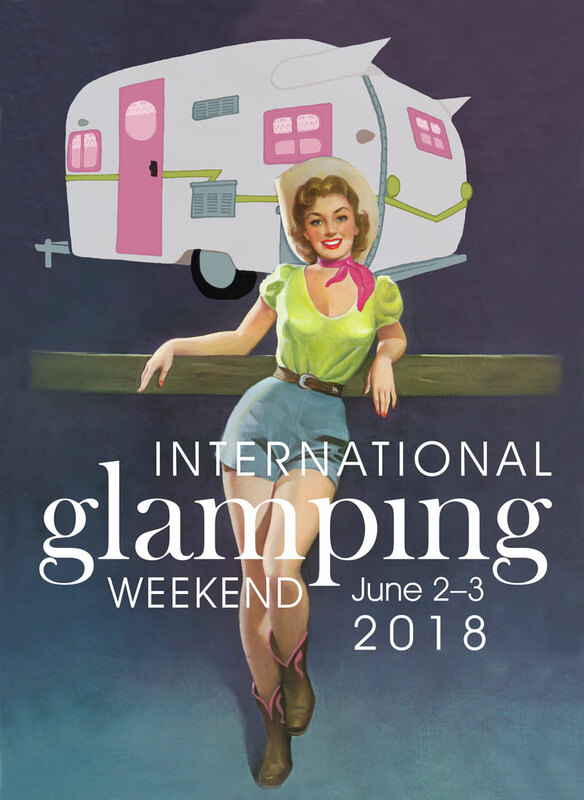 Let us know how it turns out and if you suggest any changes. The rice cakes didn’t LOOK overly glamorous but they were tasty. The chicken pie was DELISH without the veggies. Pure YUM. 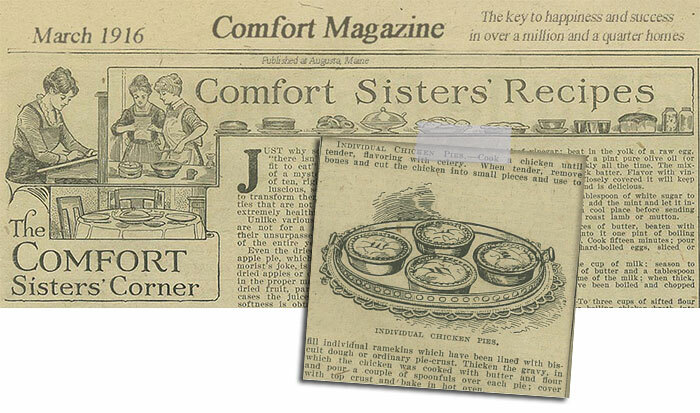 Both recipes are excellent with our gluten-free mix.